The most colour-coordinated designer in London—Design Director Ricky Croucher has a jacket and a pair of matching, hand-painted Adidas Originals for every day of the month. Really. A born prankster, calligrapher, film buff and rapper, Ricky’s wit and versatility at the London office make the studio a fun and lighthearted place to be. How long have you worked at LPK? I really enjoyed moving around from project to project in my first few months at LPK. It was a great way for me to feel my way around our work and figure out where exactly I wanted to thrive. I’d describe myself as mischievous and fun, so I naturally fit into the world of Pringles. What’s the biggest lesson(s) you’ve learned so far in your career? • Don’t just do what a client asks—find out what the problem is first! First, have fun while you’re creating! It’ll show in the work. Second, whenever I am kicked off on a bigger brief, I try to get out of the office and visit a gallery or a museum that relates to the upcoming work. It always helps me get the creative juices flowing. Do you have any advice for those aspiring to do the work you do? Be brave and love colour. An art teacher once told me to never use black, there are a million other colours you could use. Who’s your dream dinner companion? It would have to be with the two film directors Luc Besson and Pedro Almodovar. So you’re really into film. What else inspires you? I love ’70s and ’80s New York subway art. 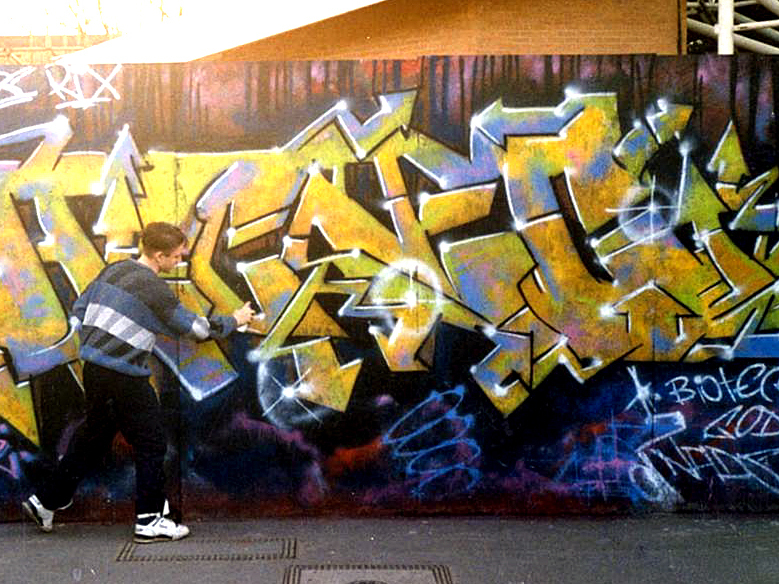 I was actually a graffiti artist in the ’80s and ’90s. I even have some artwork that Queen Elizabeth’s buyer purchased. So now the Queen of England owns two of my graffiti paintings amongst her vast art collection. You never know, they may be hanging in one of the toilets in Buckingham Palace. Wow, that’s bragging power and bucket list envy. What else do you want to accomplish in your life? • To extend our house out and up! I once read in a music magazine that legendary rapper Chuck D—of my favourite band PUBLIC ENEMY—was a fan of my band! 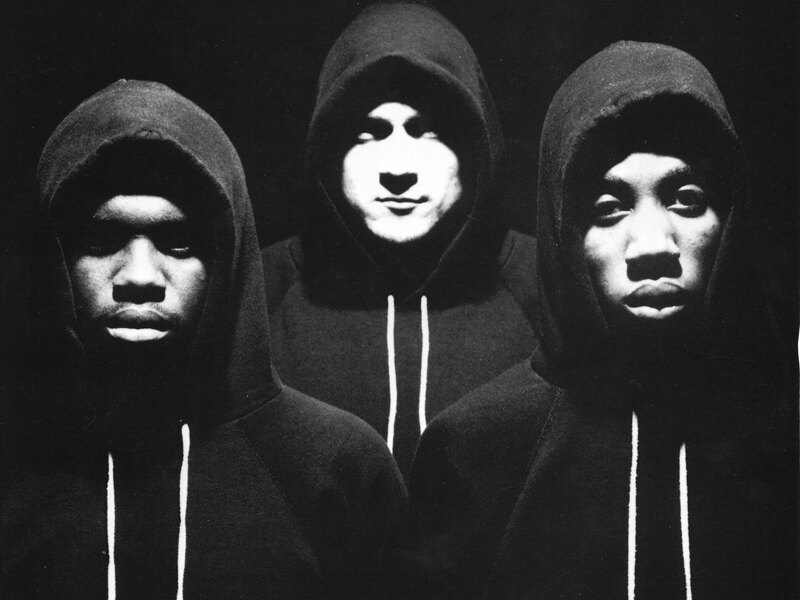 I was in a hip-hop band for about twelve years prior to becoming a designer. We released four albums and ten singles and I produced the music as the scratch DJ—you know, all the tricks and whatnot while spinning records. It’s also one of my dreams to compose film scores some day. Have you started dabbling in anything new? I have a lot of trainers and I like to customize and restore them! And this isn’t new, but I also draw and sell lyric posters. What’s your pulse on branding today? A lot of it is recycling. I’m old enough to see the twenty-to-thirty-year cycles in styles, graphics and fashion, so I can see some of them coming. Do you know where Ricky’s graffiti work ended up in the Queen’s Estate? Email him at ricky.croucher@lpk.com.